We have been continuing our artwork in Class 11 in celebration of Lack History Month. 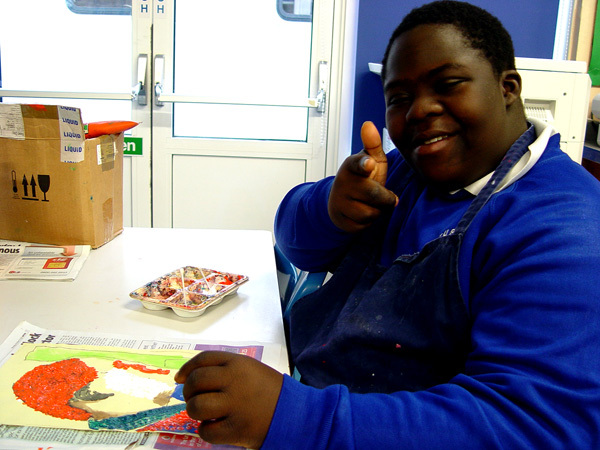 Our pupils have been inspired by some of the design work of Chris Ofili and the colourful approach that he takes towards portraits. 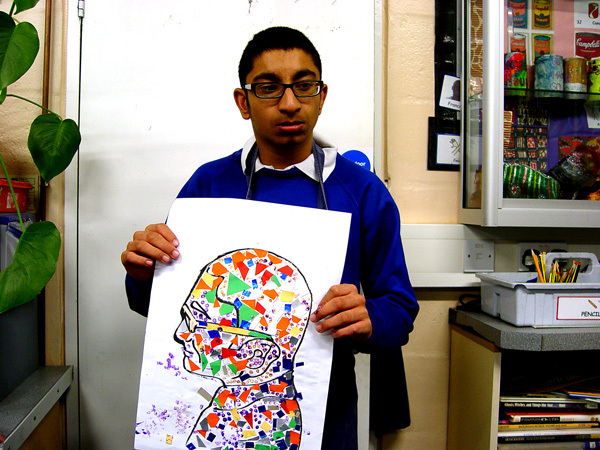 Using this idea as our starting point, our Class 11 pupils have produced a dries of self-portraits using a variety of mixed media. Both collage materials and pairing techniques have been used in our designs. We have encouraged all pupils to work independently, choosing their materials as well as collecting and cutting these for the final design. The pupils working towards their GCSE Entry Level in Art have taken this project a stage further. A digital self-image was captured, which we then used as the outline for our self-portraits. 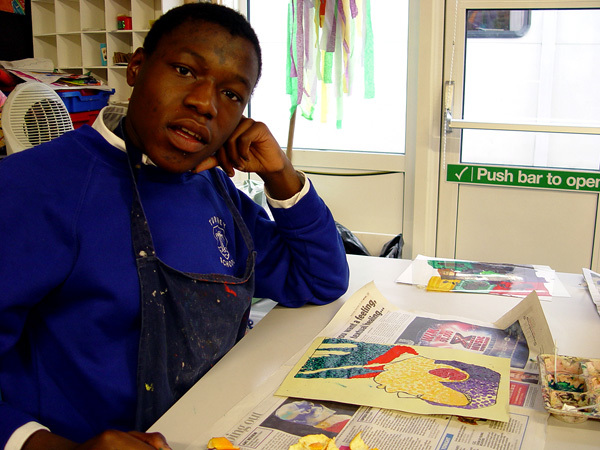 Some very fine printing techniques were then used to capture the colourful theme found in Ofili’s work. As you can see from the photos below, the effect is quite stunning.